Does food affect your mood? Take a look at these tips to help your daily wellbeing! As we step into spring we tend to feel more energetic, happy and positive. If you need a little helping hand to boost your mood then take a look at what you are eating and doing to perk things up. Food is a powerful tool and can be used to boost mood. The right foods are packed with amazing nutrients that can help promote a healthy brain, cognitive function, hormones, energy and generally just feeling incredible. Here are six tips to boost your mood naturally. 1. Get Outside – This is not food but a perfect way to naturally feed your brain and boost your mood with the beauty of nature. It is well known that the outdoors, nature and fresh air can do you the world of good for both physical and mental therapy. Take a daily walk of 30 to 60 minutes, go for the occasional run through the woods, a field or your neighbourhood, or get out the bike and go for a steady cycle or hit some super hills. 2. Eat the Carbs – Carbohydrates are good for the brain, energy, satiety and general enjoyment. There is reason why we want potatoes or a big bowl of delicious fruit, as it is our body telling us to eat some of nature’s finest foods that provide wonderful benefits. Focus on fresh fruit, vegetables and starches such as potatoes, sweet potatoes, carrots and root veggies. 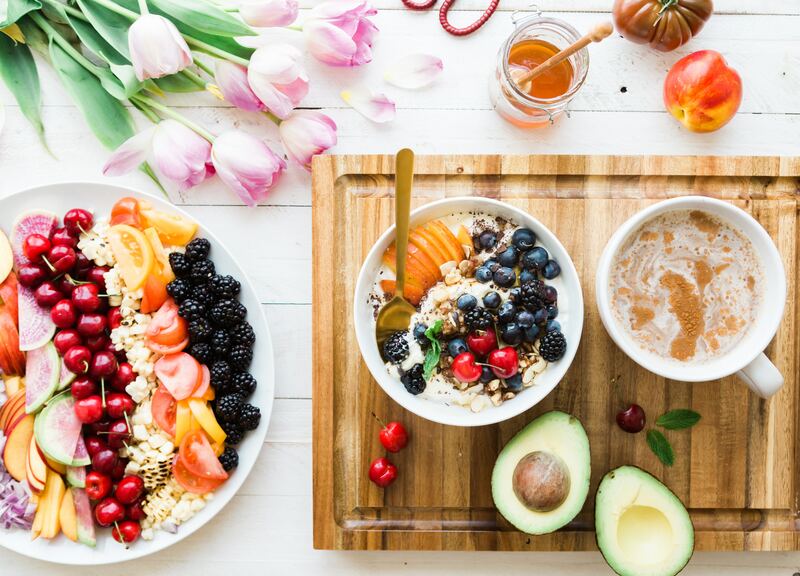 These fantastic foods provide amazing nutrients that support brain health, keep blood glucose stable and lots of energy to feel good for the day. 3. Omega Boost – Add omega rich foods, such as flaxseeds, chia seeds and hemp seeds to your daily eating. Omega-3s help nerve cells to function optimally which will help to boost mood, and keep the brain happy, healthy and energised. 4. Add B vitamins – The vitamin B complex provides a variety of nutrients that support the nervous system. Sunflower seeds, asparagus, flaxseeds and sprouts have a super dose of vitamin B1 which is great for the brain. Vitamin B6 helps to provide energy from protein and carbohydrates and is essential for hemoglobin in the blood, which in return gives us energy. Also, it is involved in the regulation of mental function and mood making it an important nutrient for mental health. Spinach, cabbage, cauliflower, potatoes, sweet potato, broccoli and sprouts are good examples of vitamin B6 foods. 5. Eat Enough Calories – Ensure you are eating enough food to supply your mind and body plenty of energy. Avoid depriving your body of food simply to get bikini ready (you are already bikini ready) instead focus on eating food to give you energy, supply plenty of nutrients to the body for health and to keep hormones happy. Before you blame your headaches on stress or constant colds on a weak immune system, take a look at what you are eating or not eating. Remember, everything you consume will affect your skin, digestion, body and mood. Dipping below your calorie needs will cause fatigue amongst other health problems, so avoid feeling weak and fatigued by increasing your intake of fresh food. Remove hunger pangs and cravings with feeling satisfied and energised. The more energy = the better the mood! 6. Love yourself – Start every day with one positive comment about yourself. Say it out loud, think it and/or write it down. Do this every day for at least one week to feel the changes in your mood. If you like the feeling of this after one week, continue to do this positive affirmation regularly to help you feel good and love yourself. We can all do with a bit of extra love for a mood booster! Aside from food, what you do day to day plays a massive role on how you feel. By following the tips above you can feel a great improvement in your general wellbeing. What feel good tip will you try first? Rebecca is a personal trainer and wellness coach who is passionate about helping women to feel healthy, happy and LOVE life. As a coach with a huge passion for vegan nutrition, holistic health, enjoying exercise and self care, Rebecca is on a mission to help women thrive!